User Question: With Some Free Software Phone Projects Ending, What Does Plasma Mobile's Future Look Like? Q: With some free software phone projects ending, what does Plasma Mobile's future look like? A: The future is rosy. While it is true that Plasma Mobile used to be built on the Ubuntu Phone codebase, that was superseded some time ago. The recent events at Ubuntu and other mobile communities have not modified the pace of the development (which is pretty fast) or the end goal, which is to build frameworks that will allow convergence for all kinds of front-ends and apps on all kinds of devices. The "converged" KAlgebra app running on an Android phone. That framework for apps already exists. It is called Kirigami. Usually an operating system gains traction because of its apps. Think back when Android was the underdog to iOS, what did Google do? Lower the bar and put in place incentives for developers to create apps for Android. The plan is that Kirigami will make the underlying platform irrelevant. If developers can port their apps with minimal hassle, and users can run their apps the same on all platforms, including the desktop, the possibility of having a shot at grabbing a slice of the mobile market becomes much more realistic. Even for new players, the main hurdle at the point of entry, i.e. having a well-stocked app store, disappears. In the last couple of weeks Plasma Mobile developers have been working with some other mobile communities and has now announced the Halium project. This project aims to develop a common free, open and community-backed base-layer for all GNU/Linux-based mobile operating systems, including Ubuntu Phone which lives on through the UBports project. This interface will allow all operating systems to interact with the Android subsystems that control hardware and other low level components. As you can see, the Plasma Mobile developers are working on bringing a common framework both to the UI side front and to the base layer. Interestingly, they are doing this, not only for the benefit of Plasma Mobile, but, in true Free Software fashion, for every community with a mobile project. This was already the goal before what happened at Ubuntu, by the way. So, as I said at the beginning, the future for Plasma Mobile is bright. 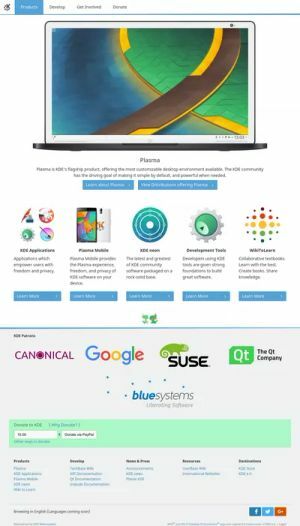 Read more about User Question: With Some Free Software Phone Projects Ending, What Does Plasma Mobile's Future Look Like? 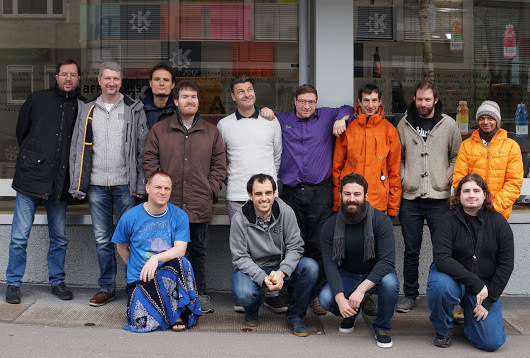 In February, KDE's Plasma team came together in for their yearly in-person meeting. The meeting was kindly hosted by von Affenfels GmbH, a webdesign agency in Stuttgart, Germany. The team discussed a wide variety of topics, such as design, features new and old, bugs and sore points in the current implementation, app distribution, also project management, internal and outward-facing communication and Wayland. KDE is experimenting with new ways to deploy applications. Under consideration are technologies such as Flatpak, Snap and AppImage, which all have their distinct advantages. Support for bundled applications is being built into Discover, Plasma's software management center, and the KDE Store. An idea is to allow software developers more control over their applications' lifecycle, and to get updates shipped much quicker into the hands of users. Similar as with packages automatically created from our Git code repositories. This can dramatically cut down on the complexity of the deployment chain. Browser integration in Plasma will be improved by integrating notifications and download progress and multimedia natively into Plasma by providing a browser extension that relays this information to the Plasma shell. 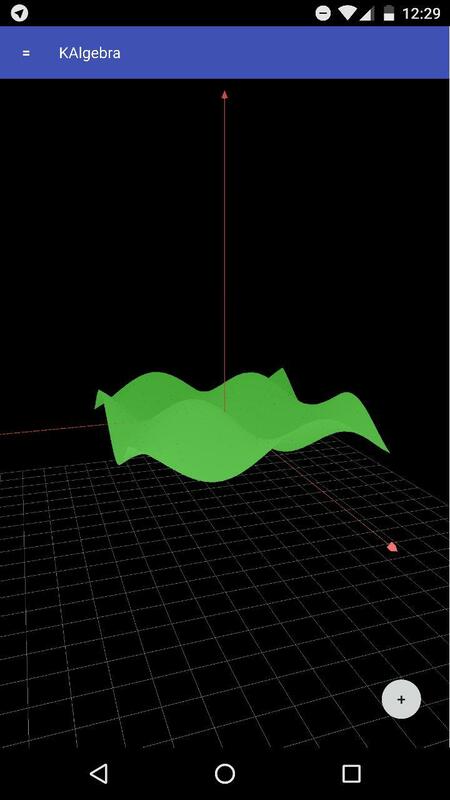 The Plasma team also discussed using touchpad gestures to control the window manager, so users can use specific multitouch gestures to trigger effects like the "desktop grid", "present windows" or swiping between virtual desktops. Plasma Mobile, KDE's ongoing product to provide a Plasma implementation suitable for mobile phones was made to run on the Nexus 5X. The previous reference device, the Nexus 5 (sans "X") was getting a bit dated, and since it's not easily available on the market anymore, a new reference device that people can get their hands on was needed. Bhushan Shah solved the last problems keeping us from using this newer and faster device as a development platform. Images will be appearing shortly, and the team is looking forward to receiving (and addressing) feedback about Plasma on the 5X. While not strictly Plasma, the team made a final push to getting KDE's websites at www.kde.org updated. A tireless effort by Ken Vermette with the help of Harald Sitter and a few more helping hands lead to the shiny new design being revealed during the course of the sprint. On the less technical side, a sprint such as this is always a good opportunity to talk about how we work together, and how we present ourselves to the outside world. While we have made great strides to improve our software by applying more thorough review processes, continuous testing and integration and paying more attention to the wishes and problems of our users, we want to put more focus on stability. One way to achieve this is to move bigger feature merges more towards the beginning of a development cycle, thereby increasing the amount of time we have for testing and ironing out problems. Sprints like this are only possible with the support of our community. We would like to thank the KDE e.V. for making this sprint (as many others before) possible. A special note of appreciation goes out to all those who donated to KDE e.V., without your support, we cannot get together in person to discuss and work. Personal interaction, while not necessary on a daily basis helps us to improve our collaboration, communication, team-work, and not at least the software we create for our users. The Linux Action Show did an interview with the team at the sprint, watch this episode from 5 minutes in to meet the crew. Akademy is the KDE Community conference. If you are working on topics relevant to KDE or Qt, this is your chance to present your work and ideas at the Conference from 22nd-27th July in Almería, Spain. The days for talks are Saturday and Sunday, 22nd and 23rd July. The rest of the week will be BoFs, unconference sessions and workshops. This year's Akademy will be held at the Universidad de Almería (UAL) in Almería, Spain, from July 22nd to 27th. KDE had 4 talks at this year's FOSDEM conference. Here's the recordings. How to Create a Look and Feel Theme video tutorial. Find out more on KDE community wiki. A lab running Thomas' current rollout of Plasma 4. With Plasma 5 having reached maturity for widespread use we are starting to see rollouts of it in large environments. Dot News interviewed the admin behind one such rollout in Austrian schools. Hi, my name is Thomas Weissel. Among many other things I'm a free open source software enthusiast, teacher, web developer and father - not necessarily in that particular order. I studied computer science in Vienna/Austria at the TU Wien and I teach computer science, philosophy and psychology for living. Currently i am working on a secure exam environment for Austrian schools based on Linux and KDE Plasma. You say you will roll out Plasma into your school. Which users will get it? About 34 classrooms, 2 consulting rooms, the room for teachers and one computer lab just got upgraded to a custom "distribution" based on Kubuntu and KDE neon. At least 75 teachers are going to work with the system. Most of the 700+ students are not going to touch these computers (because they are locked away) but in their 5th grade every one of them gets a live USB flash-drive in order to work with the very same system in the computer lab. The system has been extended by a lot of custom applications to allow students for example to copy their bootable USB flash-drives with a mouse click or to reset the configuration to the defaults. Next week I'm going to make the basic system "life" bundled with the secure exam environment "life-exam" available online and I hope many other people (schools) are going to use the system in the future. In most classrooms we still have aged Asus eee PCs. We switched to more powerful Acer laptops with 4-8 GB of memory for new acquisitions. One of our computer labs just got an upgrade to new HP desktop PCs with big Samsung screens. On these computers everything works like charm. What distro will you use? What problems do you anticipate as part of installing Plasma? We had a slight problem "mirroring" the displays to the projector without losing the configured widgets but this bug is fixed now in plasma 5.9.2 thanks to Marco Martin. Other than that getting rid of problems was the reason why i migrated to Linux in the first place. For one and a half years now we are working with Linux and Plasma 4 in the classrooms and from a system-administrator's point of view the migration was a huge success. Three to five support calls every week because of weird system problems with Windows 7 suddenly were reduced to one or two per week but not a single one was due to a problem with the system itself. We used live USB flash drives in the classrooms and the teachers unplugged them all the time despite a big sticker with a "do not remove" warning. That was the source for those support calls. We fixed that by installing the system to the hard drive last week :-) The only problem i anticipate now is not with Plasma but with the office suite. We had a lot of conversion (layout) problems with docx, pptx, and xlsx. One source of the problem is the extensive use of proprietary fonts like "Calibri". Automatically replacing "Calibri" with "Carlito" (metric-compatible) is a good start but a lot of the problems remain. I installed Word Online and Excel Online as Chrome-Apps to work around this problem. Most Teachers just installed LibreOffice to make sure everything works well but PowerPoint is still a better program than Impress in my opinion. WPS Office Presentation is very good alternative for pptx files (but not free as in free speech). How did you pick Plasma rather than any other desktop or operating system? As well as all the small problems with our Windows installations, hours lost in updating Java, Flash, Quicktime, Silverlight and so on, Microsoft turned off the KMS server in Vienna and this introduced new problems with the key management service. Let's make it short -- I wanted to get rid of Windows in the classroom and enforce free and open standards. I have this weird belief that proprietary pseudo-standards like OOXML Transitional and expensive software like Photoshop, MS Office and so on have no reason for existence in public schools. Therefore Gimp, Calligra Suite and LibreOffice took over and the world keeps spinning. I bet on Plasma because I can easily make it work and look like Windows 7 and this was very important for the acceptance of the teachers. I also chose Plasma because I wanted to present the best possible and most customizable desktop to the students. I wanted them to like working with the system and Plasma made that easy. The first hour working with students is all about 3D effects, custom fonts, widgets and custom themes. After half an hour every single student desktop looks completely different and the students start to see it as "their own" system. In the classrooms this is different of course. It is absolutely necessary that everyone leaves the computer in a usable state for the next teacher. That's yet another reason why i picked Plasmashell: The KIOSK system. I reported a lot of issues with the KIOSK system and Plasma developers did an amazing job finding and fixing all the bugs i've found for 5.8. We now have a desktop that is completely locked to make sure nobody accidentally removes or reconfigures important parts of the user interface. What applications will you run with it? The whole list is too long for this interview. In the classrooms LibreOffice and Firefox are probably the most used applications. In the computer lab we start programming in Scratch (Byob) - later we code in Kate, edit photos in Gimp, animate in Synfig Studio. The school's OwnCloud server is widely used to sync and access private files. What has the reaction been from your users so far? Most students just don't care - some are completely hooked because of the endless possibilities you have with Plasma and Linux - others just install Steam and Minecraft on their flash drives and are satisfied. The teachers don't care either. I think most of them didn't even realize that i switched the operating system underneath the user software. The only thing they want is their documents to be rendered correctly. As a person who observes this "format war" for many years now i can tell that this problem is not going away. The only "real" solution to this is to stop using those formats and completely switch to the "open document format". Shouldn't be a problem in a public school but the individual vendor lock-in of the teachers is not to be underestimated. Installing Microsoft fonts and the newest version of LibreOffice and teaching the teachers how to export to PDF helped a lot. The idea is that students and teachers are empowered to use the same software they use in school at home without the need to invest a lot of money in order to do so. What is the attitude to Free and Open Source Software in Austria generally? The education authority in Lower Austria recommended a Linux based live USB system as well as the Microsoft solution for secure exam environments. There was the LinuxAdvanced project that provided the idea for LIFE and there is the desktop4education project that aims to replace any complex Windows infrastructure and as far as i know the Free Software Foundation is very active in Vienna. Other than that I'd say that the situation in Austria is not really good. Wienux (a selfmade Linux Distribution) that should replace Windows XP in Vienna's administrations was killed before it even started. Schools get Microsoft licenses for Office and Windows whether they want them or not. There are contracts in place that run for 3 years and usually get extended for additional 3 years and so on. There even is a EU directive to use free and open standards wherever possible in public institutions but no one seems to even know (or care) about this. How can communities like KDE bridge the gap from the enthusiast world to the mass market? Discussion about this and similar projects takes place on the KDE Enterprise mailing list. Stay with Free Software, City of Munich! The city of Munich is currently considering a move away from Free Software back to Microsoft products. We consider this to be a mistake and urge the decision makers to reconsider. For many years now the City of Munich has been using a mix of software by KDE, LibreOffice and Ubuntu, among others. Mayor Dieter Reiter (a self-proclaimed Microsoft-fan who helped Microsoft move offices to Munich) asked Accenture (a Microsoft partner) to produce a report about the situation of the City of Munich's IT infrastructure. That resulted in a 450-page document. This report is now being misused to push for a move away from Free Software. However the main issues listed in the report were identified to be organizational ones and not related to Free Software operating systems and applications. incur estimated costs of €90 Million to be paid by tax-payer money. Another €15 Million are expected to be spent on replacing or upgrading hardware that cannot cope with the requirements of Windows 10 but runs fine with Linux. The City of Munich has always been a poster child of Free Software in public administrations. It is a showcase of what can be done with Free Software in this setting. The step back by the City of Munich from Free Software would therefore not just be a blow for this particular deployment but also have more far-reaching effects into other similar deployments. That said, we take this opportunity to invite all other administrations to leverage the work done by the City of Munich over the last years and are willing to help resolve remaining issues in the City of Munich related to our software. Please also read the statement by The Document Foundation. Read more about Stay with Free Software, City of Munich! KDE's main website www.kde.org has gained a beautiful new design. While in KDE we pride ourselves on making beautiful software our website has lagged behind modern requirements and trends. Visual Design Group member Ken Vermette has quietly worked away with key stakeholders to create a design and update the content. The new site uses correct HTML5 and is responsive to working on mobiles and tablets. It includes an introduction to our products, community and how you can get involved. The scope of KDE projects continues to grow as we evolve from the original desktop environment to become an umbrella organisation hosting projects as diverse as WikiToLearn academic textbook collaboration or KDE Store content distribution site. The new website reflects this change in direction while still focusing on our flagship Plasma desktop. This change is only to the front pages and many more pages on kde.org still use the old theme but these will be transitioned over in the weeks to come. Many other websites under kde.org are expected and encouraged to adopt the new theme. If you find problems please check for them and report them on our bug tracker or discuss on kde-www mailing list.